Saurik has introduced new tool – Cydia Impactor for iOS users those who have jailbroken their devices. This allows you to unjailbreak & restore your iPhone, iPad or iPod Touch to current iOS version without updating OS. Cydia Impactor is the device management tool, it can completely remove Cydia & jailbreak with all data, apps & tweaks, sources from your jailbroken iOS device & put it to the original state. The most important thing, Cydia impactor has an ability to restore your device without updating iOS & remain the same version of iOS. Actually, Cydia Impactor has two different versions & two different features. 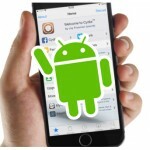 Saurik introduced first version of Cydia Impactor in 2013 for Android users to jailbreak their devices. This is the desktop version compatible with Windows, Mac & Linux OS. You can know more about that version of Cydia Impactor by the following link..
How to use Cydia Impactor for Android? However, this new version of Cydia Impactor now has a different feature. This tool removes existing jailbreak and revert all changes made to the device and return it to “stock” firmware without any updating to a new version. So, Cydia Impactor now can be used to restore your device with remain jailbreak ability & without using of iTunes. After the tool complete task, the device will no longer be jailbroken. 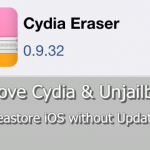 Update : Currentlly, this tool is called Cydia Eraser and Cydia Impactor is now only can be used to side-load 3rd-party apps for your iOS device. What are the benefits of Cydia Impactor? Before this tool, you had to restore your device with iTunes to unjailbreak your iPhone, iPad or iPod due to some problem of Cydia/jailbreak or in cause of selling the device. But, restoring your device using iTunes, it update your iOS version & if the updated iOS version not supports to jailbreak, you loss jailbreak ability of your device. But, now you can simply remove Cydia with jailbreak & restore device to the original status without losing ability of jailbreak. Unjailbreak iOS device & put it to the original Stock state. Can Restore jailbroken device to its original Apple stock without using iTunes. When you should use Cydia Impactor? In below cases, there is no any better solutions unless Cydia Impactor. If you get serious issue with Cydia, jailbreak on your device and you’ve already tried ordinary troubleshooting steps but not fix, then you have to start over again with a reasonably fresh install. Important things you should know & do before use Cydia impactor. 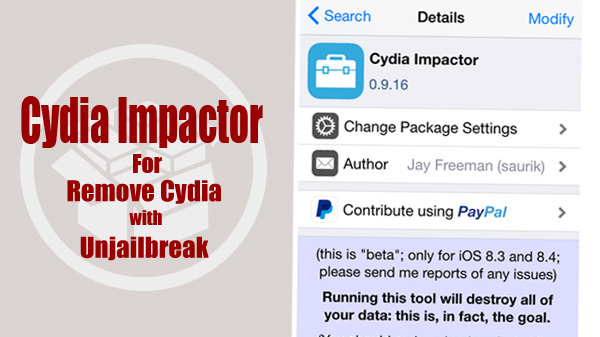 Cydia Impactor is currently in beta & compatible with iOS 8.3 and iOS 8.4 only. You should need to re-activate the device after using Cydia Impactor. Therefore, it’ll be required your Apple ID & Password to get access your device, if you had enabled “Find My iPhone” before running this tool. The device should be connected to the internet during running this tool. It is better your device has fully charged before the proceed. 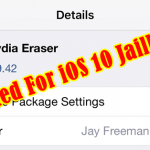 How to Un-jailbreak & remove Cydia with Cydia Impactor? can this cydia impactor help to unjailbreak ipad 2, ios 6.1.2? Yes, Why you are going to uninstall Cydia ? hi. may i know how can i remove jailbreak and jailbreak again as currently my cydia could not open file /var/lib/dpkg/status – open (2 no such file or directory). the only way i can think is full restored but it will cause me to upgrade ios and cannot jailbreak. What is your device & iOS version? Hi, first I’m sorry for my bad English. I’m not an English speaker. Anyway, does it work for iPhone 4S(iOS 6.1.3)? Somebody says that it only works for iOS 8 and later. 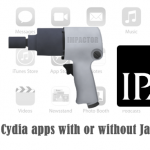 Cydia impactor can use to install IPA files and APK files to your device. If you are willing to jailbreak device, Please upgrade device and use jailbreak tool to install Cydia. Better to find jailbreak solution with cydiainstaller.mobi. No, You are unable to jailbreak iOS 10.3 this moment. Please protect your device from fake jailbreak methods. Touch with us.. We will inform when real jailbreak released for public. How do I get Keen?